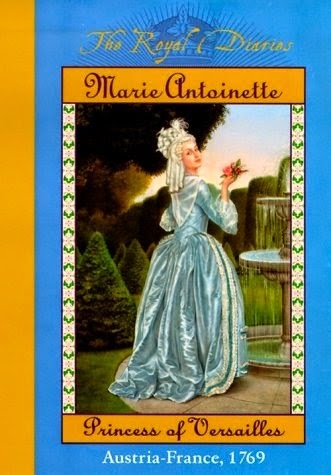 ‘Princess of Versailles,’ first published under Scholastic’s Royal Diaries series, is probably the most popular fictional book about Marie Antoinette aimed at younger readers. ‘Princess of Versailles’ is a fictional diary from the point of view from a young Marie Antoinette which covers her life from a Archduchess of Austria through the early years of her marriage to the future Louis XVI of France. This is definitely “the” Marie Antoinette novel for younger readers and, for many people from my generation, was the ‘gateway’ into an interest in French history.